Köy Okulları Değişim Ağı – KODA (https://www.kodegisim.org/) is a newly founded charity in Istanbul that focuses on increasing the quality of education in rural Turkey. Through their core programs, they provide support to teachers and students for the advancement of quality education in formal school systems. With the co-funding support of Child Fund of Sivil Toplum için Destek Vakfı in Istanbul and Turkey Mozaik Foundation, the project named “Quality Education in Rural Areas” is being supported. 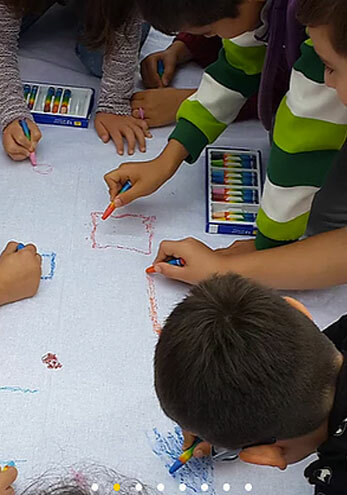 In the project, KODA is implementing a series of workshops designed for children on issues of space, universe, astronomy, visual arts, cultural diversity, geography and architecture, emotional awareness, underwater life and general life culture in Muş province. Teachers are also supported throughout the process to share their experiences after implementing these workshops.